Osteopathy Bracknell - Expert Physiotherapists - Enquire Today! Osteopathy Bracknell – How our Osteopaths can help! Here at Openhealth Clinic we are constantly improving the standards of Osteopathy to ensure that our customers are getting the service they require and are seeing the results that they want and need. Osteopathy is perfect for fixing a variety of mobility issues that are experienced due to a whole heap of ailments and disabilities. Osteopaths can treat a variety of neck, back, knee and sport-related injuries through the manipulation and massage of any affected areas. Many people are sometimes confused by exactly what osteopathy treatments include and how this is important to ensuring a healthy body and ensuring that movement can be maintained. This post is here to explain all you need to know about the variety of osteopath treatments we offer in and around Bracknell and explain who Openhealth clinic. 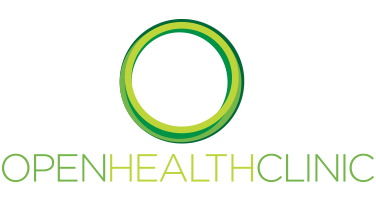 If you have any questions about the Osteopathy treatments we offer in and around Bracknell then please get in touch with a member of the Openhealth Clinic team today and we will be happy to help answer any questions that you may have. Essentially, Osteopathy is a form of treatment that is able to successfully detect and counter problems that are experienced when people move, stretch and perform any exercise. Osteopathy is extremely well used by professional athletes as this speeds up recovery time and drastically reduces the risk of problems arising again in the future. Something that people tend to get confused by is the fact that no drugs or prescription medication is used during osteopathy treatments; instead, it is done entirely by the manipulation and massaging of certain areas to stimulate that area. The way this works is by our osteopaths using their hands to target and find areas that show signs of weakness or strain – this tends to be in the spine but not always. Then, we will massage and manipulate that area to stimulate blood flow and help restore mobility to a particular area that is showing signs of weakness. Osteopaths can treat a variety of things and not just physical pain but can also fix a variety of other issues too. Get in touch today to see what difference we can make for you. So, you now know a bit about what Osteopathy actually is, but why is it important for you and the pain or condition you are experiencing? Osteopathy is perfect for those who are looking for a remedy for the lower back pain, neck pain, shoulder pain and a variety of injuries – Osteopathy is perfect for sports-related injuries as it allows for the area to become more immune to injuries in the future and ensure that the affected area is working as it should and not causing any problems. In addition to this, there has also been talk of osteopathy being able to help reduce headaches and migraines and although this is not physically or medically proven we have had a variety of patients report that their frequent headache no longer happens. We believe this is due to a release in tension through the massaging and manipulation process releasing unwanted and unneeded stress. If you have any questions about the Osteopathy service we offer in Bracknell then please get in touch with a member of the Openhealthclinic team today! What is Osteopathy Good for? Osteopathy is a great alternative to traditional methods of treatment for a variety of different types of musclo-skeletal problems. The treatment itself will focus on the muscles, joints and circulatory systems of patients to ultimately have a positive effect on these. Some of the main things that our Osteopaths in Bracknell will be able to treat you for is severe back pain, tennis elbow, headaches and a variety of problems and pain that may be caused through poor posture and postural problems. During the treatments with our osteopaths, we will be able to identify if there are any other problems or areas for concern and also refer you to specialists who will be able to help further. Something which not everyone is aware of is Osteopathy’s involvement in stress reduction – a study conducted by Medical News Today identified that Osteopathy can help with the reduction of Stress, Breathing and of course posture. Another key thing often missed is the impact that osteopathy is able to have on patients sleep. When pain or discomfort is experienced naturally it is harder for people to sleep. Studies have shown that Osteopathy is a great way to treat any signs of insomnia and also sleeplessness that any patients may be experiencing. What to expect from your first Osteopathy treatment! We are a specialist team of extremely experienced musculoskeletal-practitioners who go above and beyond for our patients. We believe the close relationships between our osteopathy team and patients is key to ensuring the best results for all involved. our facilities are state of the art and allow our practitioners to consistently use the latest equipment to provide the best results! We have immediate access to surgeons if we feel your condition may need further medical help and can also arrange a variety of MRI scans if needed for our patients! We are a friendly and dedicated team looking to fix any pain that our patients are experiencing. Please get in touch with a member of the Openhealh Clinic team today and we will be happy to talk to you regarding the Osteopath treatments we offer in Bracknell.